What are you going to get for the child who has too many clothes and toys? Don’t stress, we have you covered with some of the cutest and most funky decor for children around. 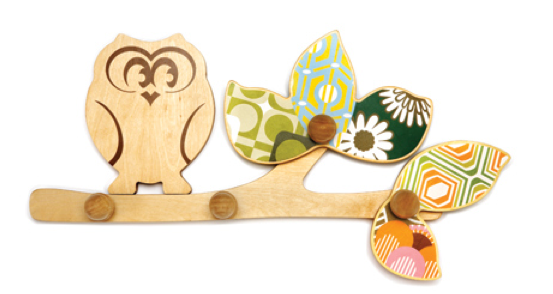 First off the rank is this Sleepy Owl wall hook by Cocoon Couture. Crafted from environmentally friendly, silk-screened plywood and measuring 45cm across and 25cm high, it costs $89 and is sure to make a statement on a neglected wall. Does someone you know have a baby around pulling up age? This is an age of near-impossible-to-have-a-Christmas-tree. 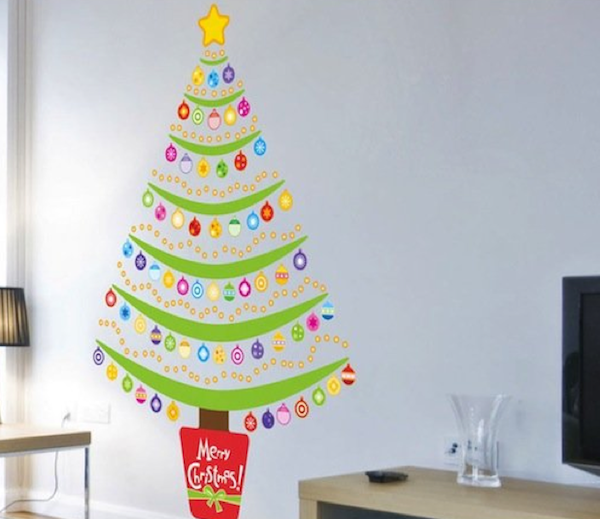 If this is the case or you just want to spread as much Christmas cheer as possible, on every wall possible them this reusable fabric Christmas Tree wall decal from Bright Star Kids is a great idea. At $89.95 it’s actually no more expensive than most real Christmas trees. Oh my, wow, if you don’t want one of these you are straight up made of stone. These Vegas Boneyard Illuminated Letters from Fromage La Rue are seriously the coolest things I have ever seen (do I say that a lot?). They are not exactly a bargain at $650 but if you want to splash out on someone this year (please let it be me) then this is the way to go. 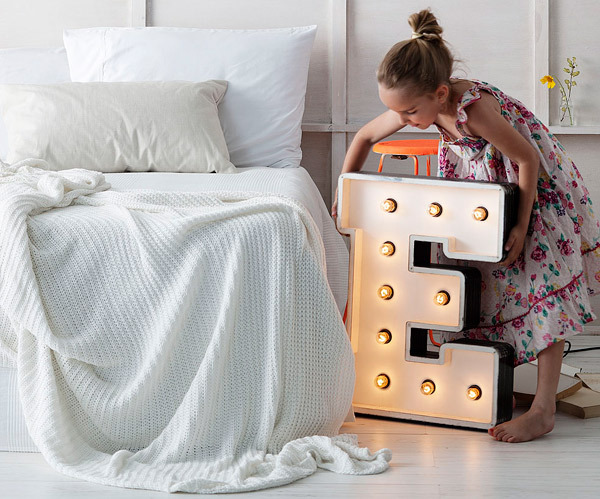 They measure approximately 59cm high and weigh as much as a preschooler – that’s up to 15kg, depending on which letter of the alphabet you choose! They can be wall mounted or stand alone and come complete with light dimmers. Aren’t these great for a nursery, playroom or bedroom? 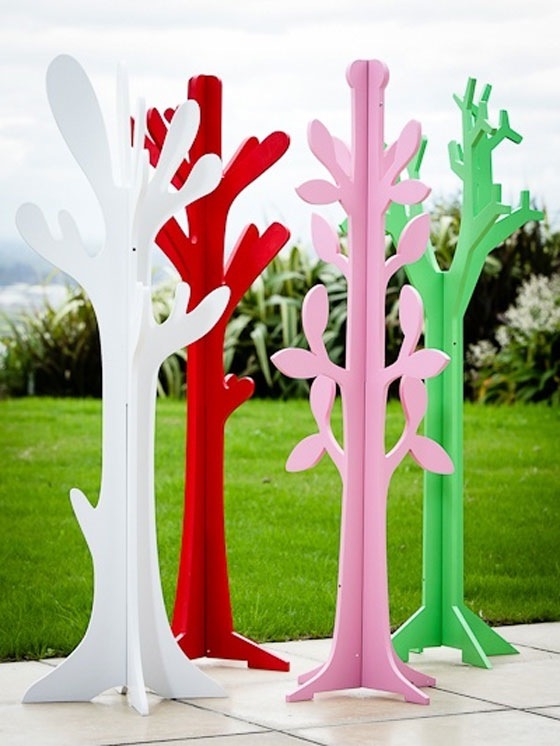 These funky tree hangers by Mocka stand at 120cm, are made from MDF and have a super wide base for stability. For $49.95 they make the perfect gift and provide a great base for school bags, jackets, hats or those little parachuting army men. Art buds has a seriously dreamy collection of art for children, this limited edition Giclee print by Nathan Spoor is worth $80 and will last more than one hundred years before it starts to fade. Doesn’t it inspire the imagination? 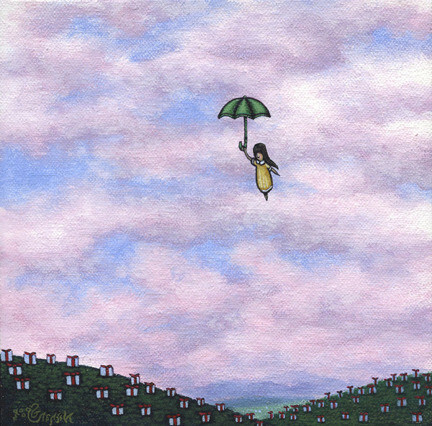 Art makes such a beautiful meaningful gift, rarely outgrown. If it’s a keepsake gift you are after, then this is it. Looking for something a little more modern than fake snow to decorate your windows with this year? 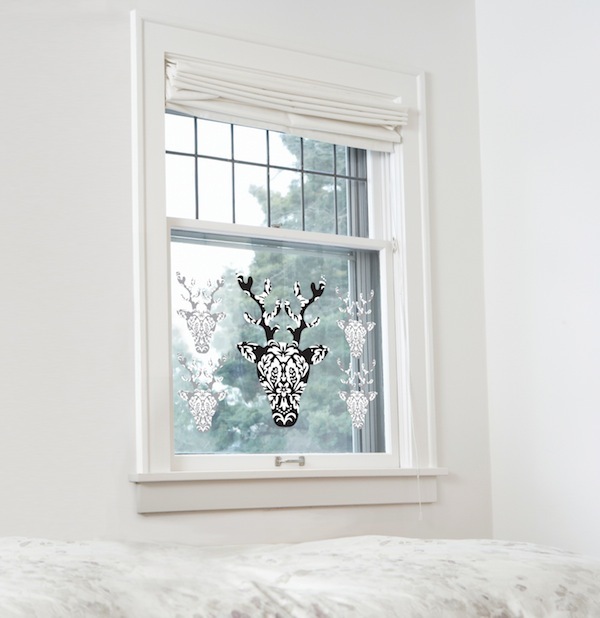 These uber-trendy reindeer window decals by For Walls are absolutely perfect for the modern Christmas enthusiast. Removable, reusable and oh, so pretty! They cost $39.95. For a sneakily educational gift check out the great analogue clocks at My Make Believe. Mobile phones and computers make it all too easy for kids to avoid learning to tell the time. 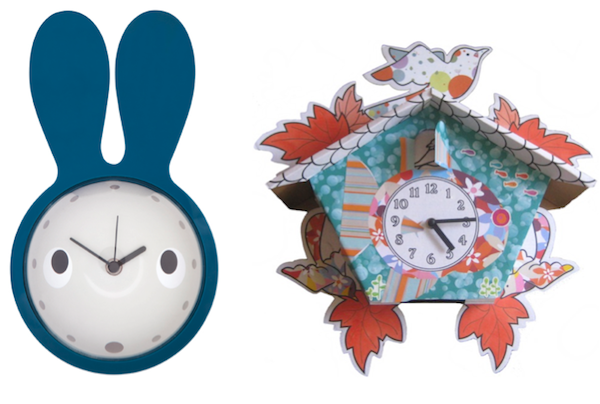 The Bunny Clock ($59) is sweet, simplistic design at its best. And this fancy DIY Cuckoo Clock comes as a blank slate, ready to be decorated by its new owner for $29.95. While you’re there, check out their adorable dress up costumes for babies. I like to grab at least one extra present to wrap up in case of an unforeseen gift need at Christmas and this year it will be some of these. Light Up Your Mood Stickers from Little Me Little You. 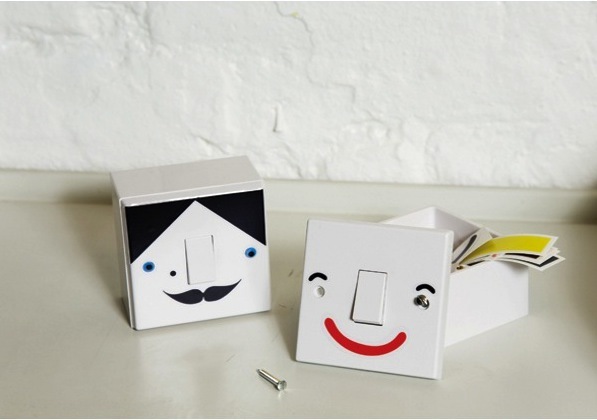 They are cute, cheap and easily peel off your light switches without leaving a sticky residue. A great gift for just about anyone, at just $14 I may pick up a few sets! These Inspirational Typography Prints by Wall Fry are a great gift for either a family or a child. They come in a huge range of colours and are fully customisable, for $47 you can pick up a set of four. 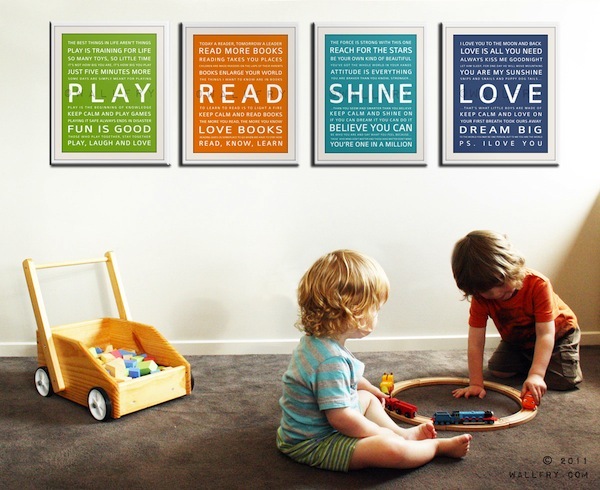 Chock-full of lovely phrases to live by, these prints say all the things you want children to hear on a daily basis. It is like a frame full of warm fuzzies, Merry Christmas.